Lynn Pain was short-listed along with Durham Amateur Rowing Club at The County Durham Sports Awards. On Friday 9th October The Ramside Hall Hotel hosted The County Durham Sports Awards. 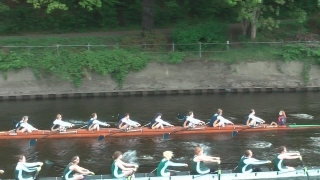 The event, in its 6th year, saw people from all over the County represented, along with Durham Amateur Rowing Club’s Lynn Pain. The Contribution to Sport Award acknowledges individuals that have achieved success at County level or above through competing, coaching or volunteering in sport, or have made a significant difference to individuals or groups though their contribution to sport in County Durham. They will also be seen as a role model within their sport or community. Lynn was nominated and made it through to the shortlist stage for the award as she has, over the last 15 years, coached novices to compete at local and national regattas. 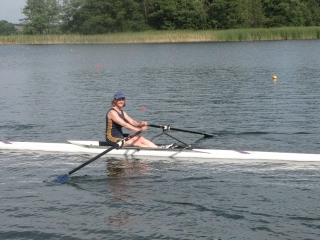 This year Lynn achieved her aim of getting a women’s novice 8+ from novice to Intermediate 3 level in one rowing season. Since then many of the original team have joined the senior women’s squad. One person even competed at Henley Veterans Regatta in July. 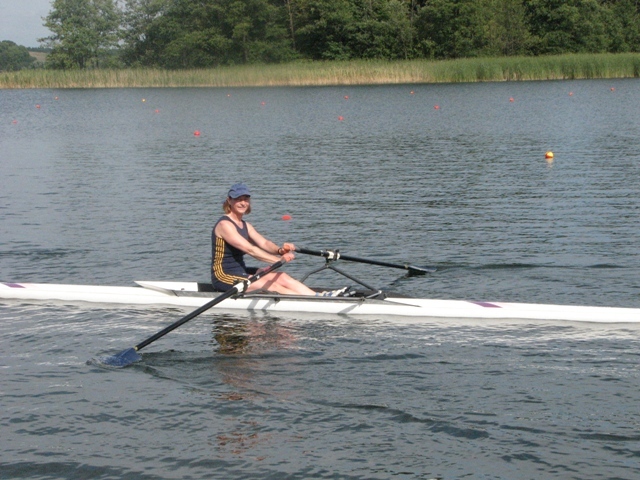 To go from novice to competing at Henley Veteran Regatta in one season demonstrates Lynn’s dedication and commitment to training the crew. Not only does Lynn coach the novice women, she also coxes them in training, in races and organises race entries and training schedules. In addition, she can also be seen umpiring at events. She is a truly dedicated rower! It is this commitment to the sport and to the novice women which really makes such a difference to the individuals, the squad and ultimately the club. She really does make an outstanding contribution to rowing. The Club was also shortlisted for the Sports Club of the Year Award. Two nominations for the County Durham Sports Awards ends the year on a high for Durham Amateur Rowing Club. This entry was posted in Club News on October 12, 2009 by admin.